Mike Bigg, owner and Tony Champion, brewer were very excited to hear that their Ginger Tom 4.5% was voted CAMRA Sussex Microbrew of the Festival at this year’s Eastbourne Beer Festival held in the excellent Winter Garden, Eastbourne. 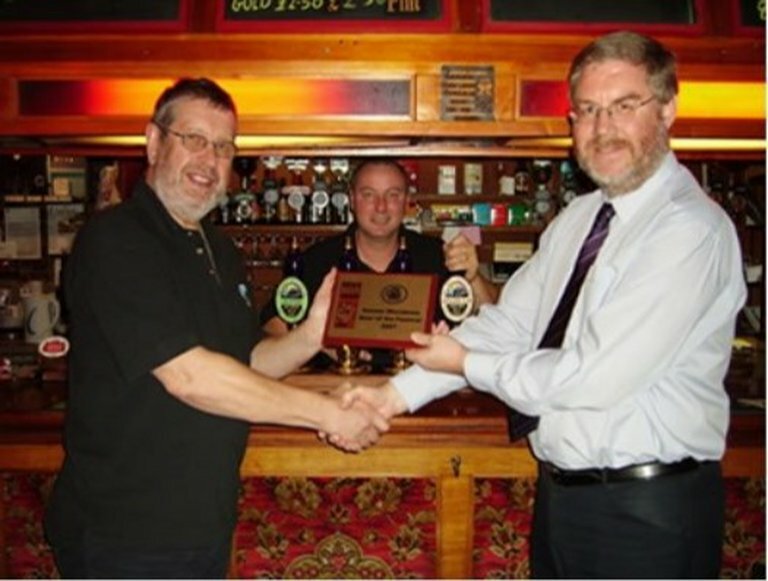 All Sussex Breweries supplied beer to this festival so it was especially pleasing for one of our Brew-pubs to receive this award. Mike Bigg, left, Tony Champion centre and Chairman of South East Sussex Branch Peter Page-Mitchell on right. Presented while on a recent visit to the FILO.